Temperature Limiter TB 45 - BG electric e.K. 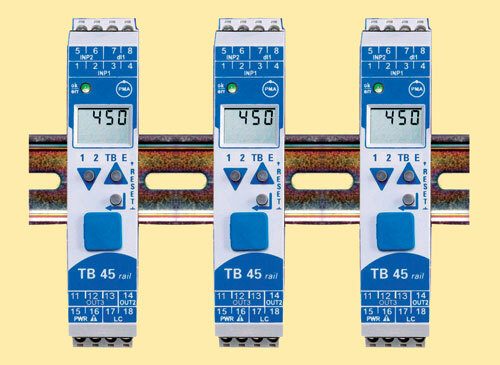 The TB 45 temperature limiter is intended for precise, cost-effective signal monitoring & limiting tasks. The TB 45 can be used for heating and refrigeration processes. It is suitable for all thermocouple types and resistance type sensors. It is particularly designed for use in all applications where an over or under temperature fault condition could present fire hazard or other hazard.